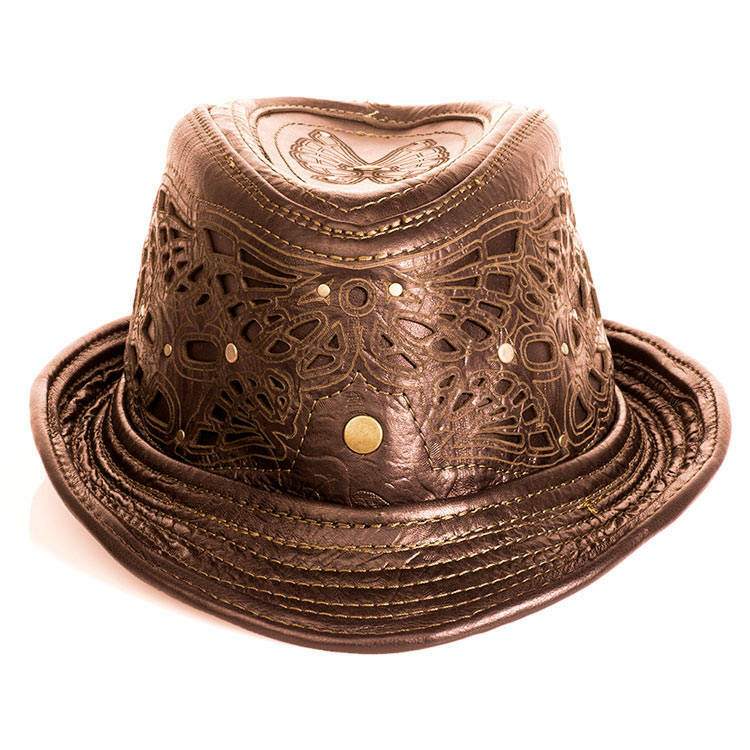 Leather Fedora, Made To Order just for you! 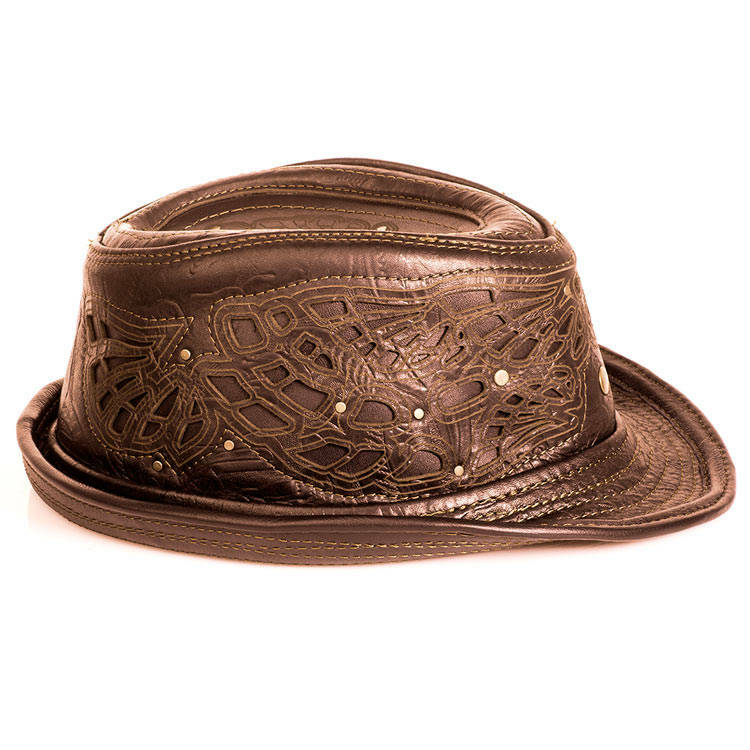 All Brown Latigo and Brown Alligator Embossed Leather Hat, Art Engraved, Filigree, Detail Stitch with Tarnished Brass or Silver Hardware and Adjustable Wire Brim! 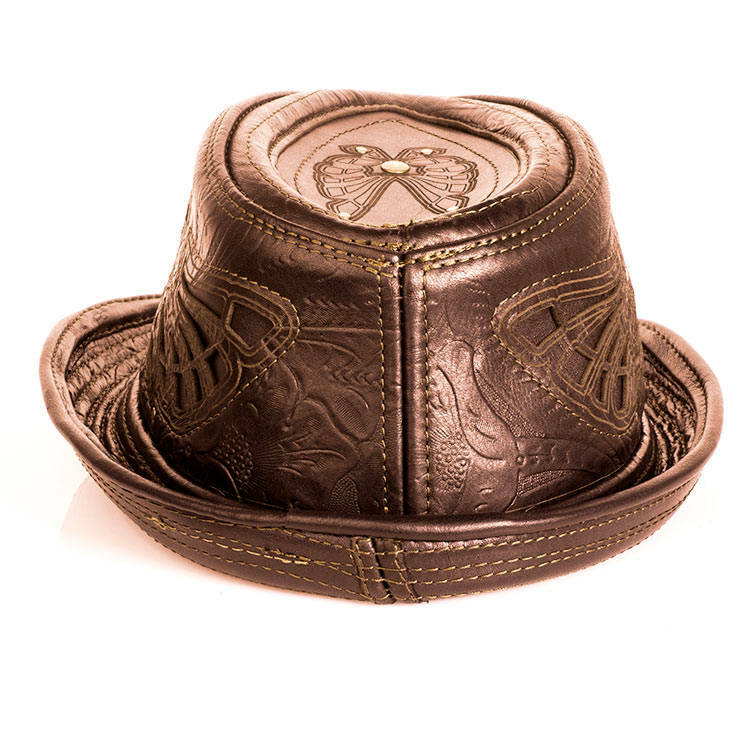 A rare feature that sets our leather Fedoras apart from the rest. Stylize your brim to fit your mood! Our Limited Edition items will change colors seasonally and once the small amount listed sell out, they will no longer be available. You asked for it and we've created it. The Fedora is a classic hat design that most people identify with the roaring 1920's. People often believe this hat to be a men's hat, associating it with gangster's, prohibition, Al Capone and the like. Ironically the Fedora debuted in 1882 as a women's hat, made famous by a theatrical production! 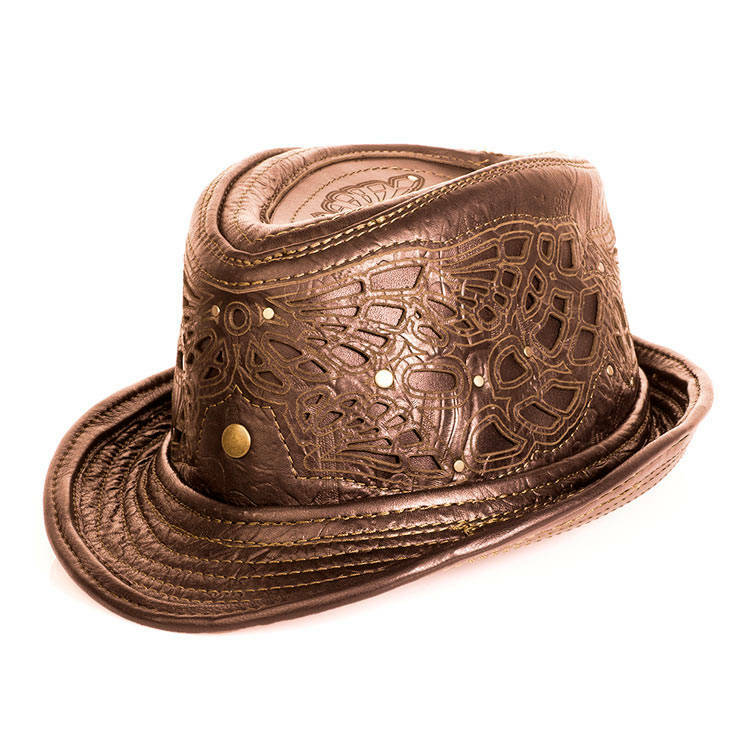 Whether you connect with the swanky male-centric 1920's Fedora with its snazzy je ne sais quoi or the 1882 women's liberation vibe, the Astral Chrysalis redesign of this classic is a keeper, we've aptly named our design "The Sassafras." As always, handcrafted in our home art studio. This is our original hand drafted pattern, filigree and art engraving. We can size any head size. Simply take a flexible measuring tape and measure around the back center of your head to the front middle of your forehead (about 1" above your eyebrows). Take the measurement a few times to ensure a consistent measurement. At checkout select the size variant that you measured. If you are in between sizes or confused, just convo us for help. If you are interested in a Custom Made, One of a Kind Fedora, rather than a Limited Ed., please message us, as we will happily work with you to create the hat of your dreams. You tell us exactly what colors, etc., that you want and we will make it! We can even embed a gemstone of your choosing. 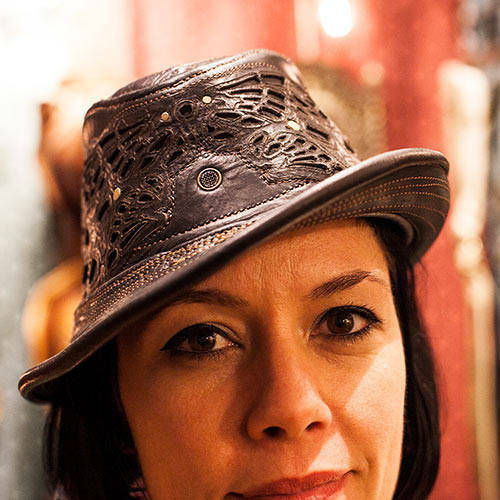 The Fedora pictured on our lovely friend Kerry is the same style hat with different leathers/embellishments then the hat being sold in this listing. Please see all other pictures to view the Limited Edition Fedora that is for sale.